The event will be open to the public and tickets will go on sale in early 2017. Call Karin Cherwick-Skala at 239-344-4761 or email kcherwick@gannett.com for more information. Steve Spurrier is a former football player and head coach of the University of Florida as well as the University of South Carolina. He was a two-time All-American and as a player is a member of the College Football Hall of Fame. 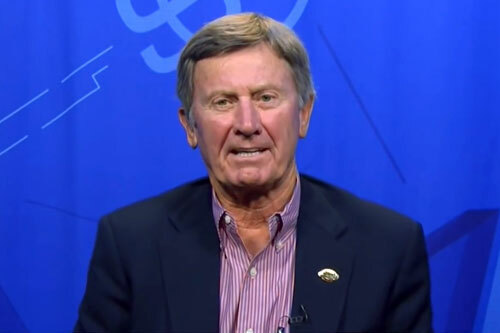 Spurrier is best known for winning the Heisman Trophy in 1966 and for coaching the University of Florida football team to six SEC championships. While he was a University of Florida student, Spurrier was inducted into the University of Florida Hall of Fame, the University of Florida Athletic Hall of Fame, and Florida Blue Key leadership honorary. PFP Sports & Celebrity Talent Agency is a top booking agent for motivational sports speakers and celebrities. If you would like to book college football stars like Steve Spurrier for a speaking engagement, personal appearance or special event, you can request Steve Spurrier agent and speaker information from PFP Sports & Celebrity Talent or call 800.966.1380.